Credits: "Michelle Spencer at Unsplash.com"
Itching to get outside this season? 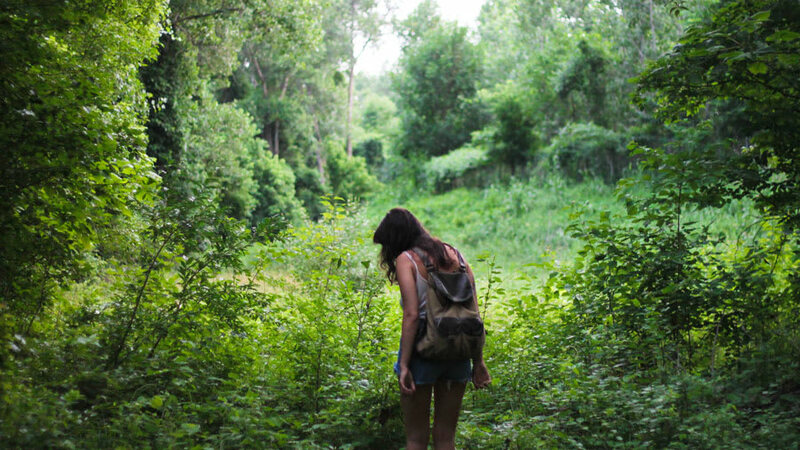 Hiking and trail running are great ways to stay fit and clear your mind, but don’t forget to mind the poison oak or poison ivy! For some lucky people, the poison oak or ivy rash is not too bad - perhaps a few red bumps that itch on occasion. For others, it is a nightmare - it itches horribly, spreads with touch, and blisters angrily to the point that it becomes all you think about. Fortunately, for poison oak or ivy sufferers, there are a few things you can do to prevent your rash from getting out of hand. 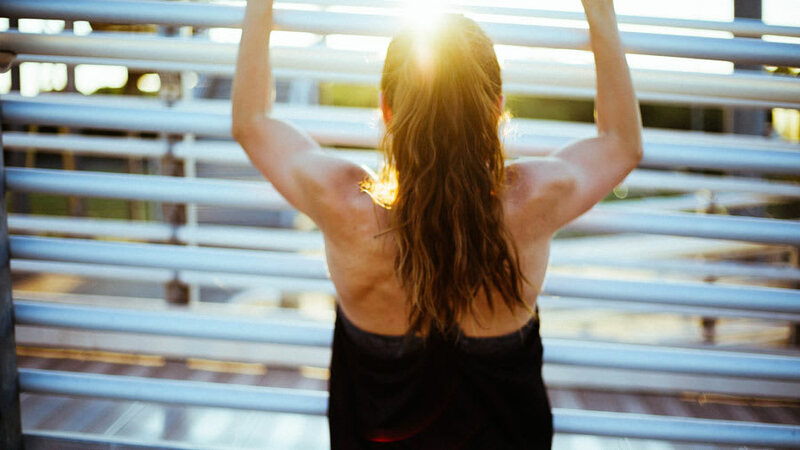 By taking preventative steps, you can reduce the intensity and frequency of your rashes. Below are some tips for reducing your rash and easing the irritation of established rashes, using home remedies that are both easy and accessible. First, one must know how to identify the poison oak and poison ivy plants. 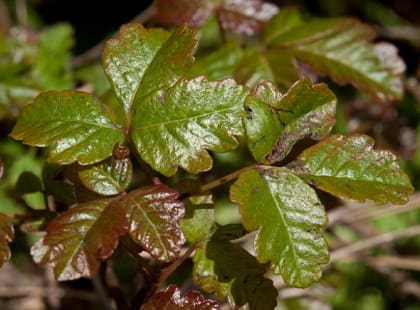 Poison oak can grow as a vine or shrub. 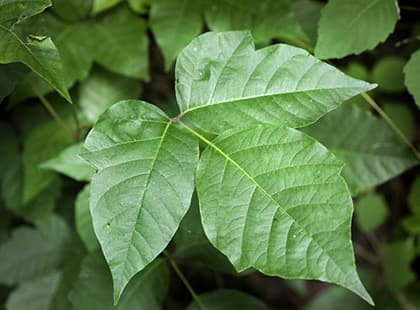 Like poison ivy, it usually has leaves or leaflets in groups of three, but that can vary. Poison oak leaves have the same shape as normal oak leaves, which is what makes them dangerous to those who have never been taught how to identify it. Both of these plants often grow on land that has been disturbed by logging, bulldozers, etc. Since they seem to favor areas that have been disturbed, they are seen by some naturalists as protectors of the land. Poison ivy and poison oak are seen as plants that discourage people from spending too much time in their territory, allowing the original native plants to re-establish their habitat. The rash is caused by the skin making direct contact with a resin called urushiol, which is contained in the oil of the leaves. Airborne urushiol, caused by burning these leaves, can also cause rashes by landing on the skin and affecting the lungs if inhaled. The poison ivy rash is the easiest to identify, beginning as small red bumps which form in lines. After a day or so, these bumps can enlarge, become extremely itchy, and form liquid-filled blisters. Conversely, the poison oak rash appears as a patch of itchy red bumps that will also enlarge and blister if left without care. If you are going to be in an area where exposure is imminent, wear clothing that covers your arms and legs. Once you’re home, carefully remove the clothing without brushing the outside of it against your skin. If you’re highly sensitive, wash these clothes separately. Shower with soap soon after. 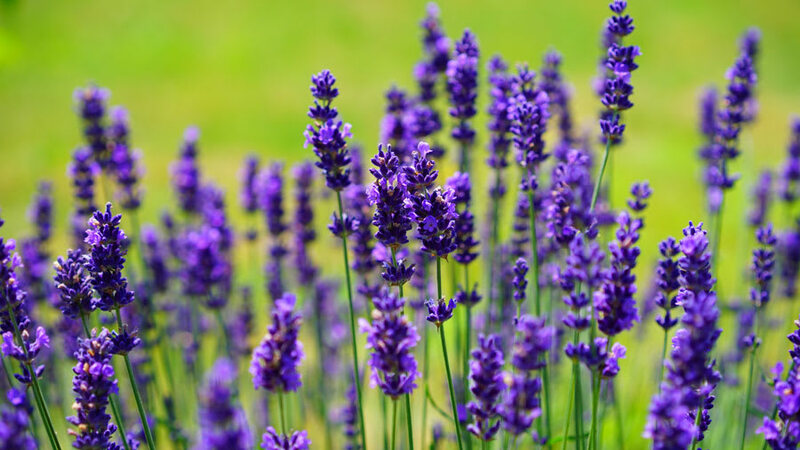 If you believe that you have come into contact with these plants, or if you notice some itching (no matter how slight) or small red bumps beginning to form, wash the area as soon as possible. This is crucial to remove the plant oils from the skin; do not put it off until later! 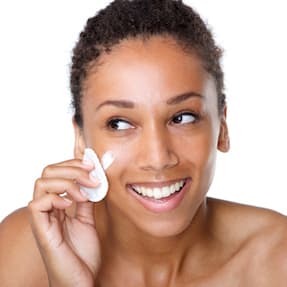 As soon as you have access to soap, rub the soap onto the dry skin to break up the oils, then rinse well, creating as much friction as possible to scrub the oils away. Wash this way twice if necessary, and cover more than you think was exposed. If you do notice a rash, do not procrastinate! The secret to beating these rashes is staying on top of them, as after the first day the oils have already been absorbed into the skin, making a reaction inevitable. Removing the oils on the first day is essential to an easy recovery. After washing, apply any of the following at the first indication of a rash. Apple Cider Vinegar: Poison ivy and oak remedies made with apple cider vinegar are available in stores and are very effective. Personally, I like to use plain apple cider vinegar and add beneficial herbs to it (like Echinacea). I soak a cotton ball with the apple cider vinegar concoction and place it on the rash for a minute or so, then wipe it across the skin to remove some more of the oils. I find this to be very effective if done within the first 24 hours of exposure, and repeated 3-4 times a day thereafter. Warning: If you have been scratching the afflicted area, this may be uncomfortable when applying, but will still provide relief after a few seconds. Clay: Any clay will work. This is thought to draw out the irritating oils and dry any blisters that may form. Make a paste by mixing the clay with a small amount of water, then apply it to the affected area. Allow this to sit as long as possible. Reapply at least 2-3 times a day. These simple remedies should be all you need to prevent a full-blown outbreak, but if this is not enough for you, refer to more specialized remedies below. Rhus Tox homeopathic is a remedy that has anti-inflammatory effects in mice and is made for poison oak and poison ivy rashes. It's best taken before exposure as a preventative measure, or on the first day of exposure. Some still find it effective for use after the rash has fully manifested. Echinacea tincture or tea is a cooling anti-inflammatory agent. 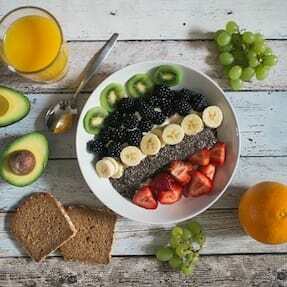 It’s also an alternative, which helps reestablish balance in a system and clear skin issues. Taken internally, Echinacea can be beneficial for treating an already-established rash. It can also be added to the apple cider vinegar listed above or used individually for external washing. Rosewater can be applied to a rash to provide relief, as it is cooling to the skin, and some prefer this to other remedies. St. John’s Wort Oil can also provide relief via soothing the angry red inflammation and the irritated nerves beneath. 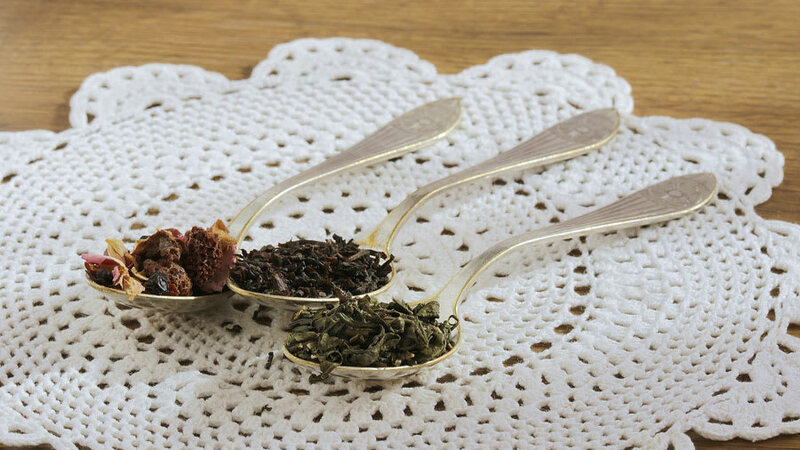 Once a rash has settled in, I like to drink herbal teas made from herbs that are known to be blood purifiers, such as burdock, Oregon grape root, and sassafras root. These are cooling and traditionally used to clear the skin and reduce inflammation, and are especially helpful when the rash seems to be taking too long to go away. Is It As “Natural” As You Think?